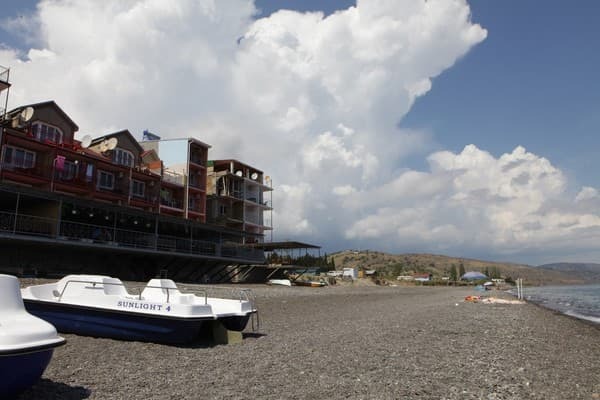 Hotel "35th Meridian" is located in the coastal part of the village of Privetnoye (recreation complex "Katran") on the beach. 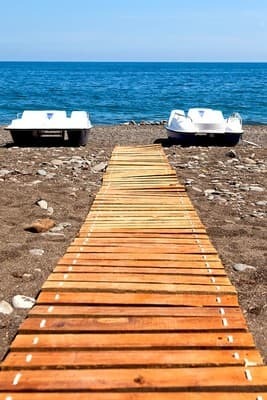 The beach is wide sand and pebble, with a length of more than 500 m. The hotel is perfect for families, as well as for those who are simply tired of the city bustle. 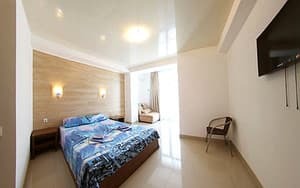 The hotel offers to visitors 22 modern comfortable rooms equipped with necessary furniture, bathroom with shower, satellite TV, refrigerator, air conditioning. 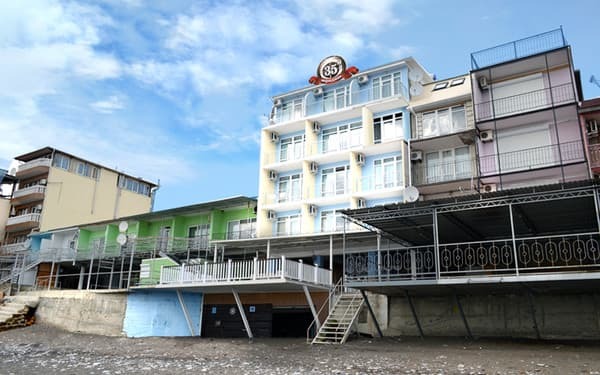 The tourists will be offered here: boat trips, wakeboarding, bookbording, water attractions, excursions around Crimea, trampolines for children, paintball, darts, billiards, barbecue grill. On the territory of the recreational complex, where the hotel "35th meridian" is located there is a parking lot, grocery stores, a first-aid post. 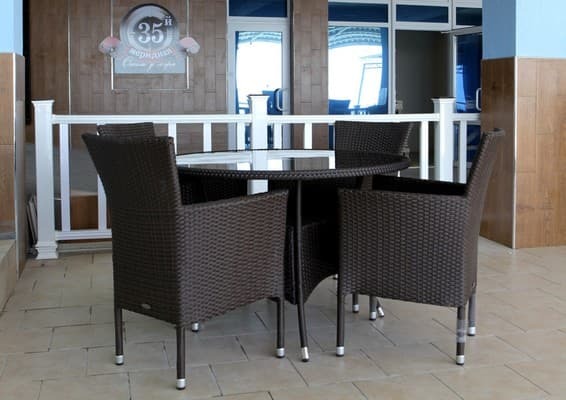 The hotel has a café on the ground floor with an outdoor area in the beach area. For residents, there is the possibility of ordering an integrated food or nutrition according to an individual menu. Distance to the city of Alushta - 50 km, to the city of Sudak - 30 km. Description of the room: In the room: double bed, wardrobe, bedside tables, coffee table, chairs, hanger, mirror, shoe shelf, TV (satellite TV), mini fridge, electric kettle, tea set of dishes, towels 2 per person, bathroom, balcony, split system. Children under 5 years without extra beds are accommodated free of charge. The cost of extra space is 100-150 UAH. the village of Privetnoye (Big Alushta). Distance to the city of Alushta - 50 km, to the city of Sudak - 30 km. From the railway station in Simferopol: 1) by a trolleybus or a fixed-route taxi to Alushta, further by shuttle bus "Alushta-Greet" to the stop "Frontier part"; 2) a fixed-route taxi to the village of Rybachye, then from Rybachiy to Privetny by taxi or by bus (12 km); 3) by bus or shuttle bus without a transfer to Privetnoye, stop "Border part". The journey takes 2 hours and 30 minutes.